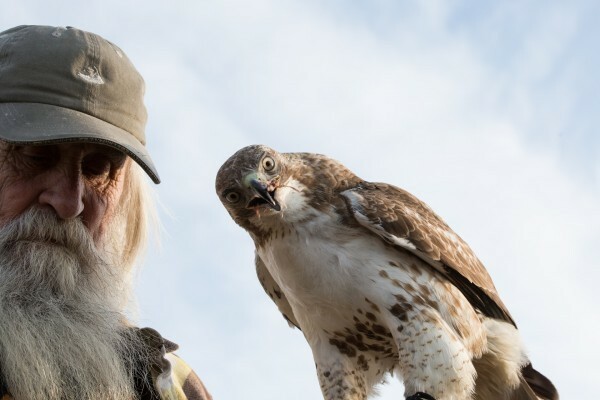 (a Eastern Red-Tailed Hawk named Shaka Zulu, and a Peregrine-Falcon mix named Houdini) for a fascinating talk about the art of falconry. After the talk (and plenty of time for questions) we'll head out to the big field to see the birds in action. come on back... we'll have him on a microphone so everyone can lean about this amazing skill. This FREE Farm Talk is appropriate for all ages (bring the kids!). Shout Out to Family Businesses! 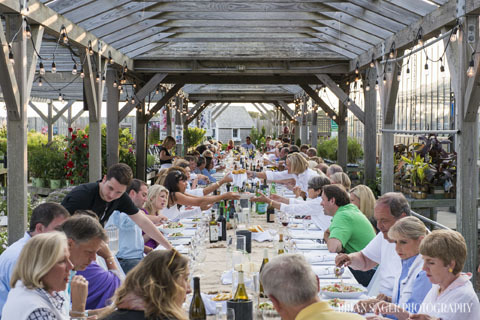 When the Bartletts first began selling produce to Nantucketers, they sold only produce that they could grow on the farm. But as the year-round population and the summer population grew, the demand for produce outstripped the family's ability to grow enough quantity and variety. And so in the 1990's, we started searching for vendors who could help fill the supply void and enhance the selection of products we sell. This week we are highlighting Chex Finer Foods, a family business located in Rhode Island. With the third generation of the Isenberg family now running the business, Chex is the leading specialty and natural foods distributor in New England. We have attended their specialty food show each year for more than 20 years, and much of what we can't produce ourselves comes from them. They are a pleasure to work with and we look forward to associating with them for many years to come. Hats off to family businesses! 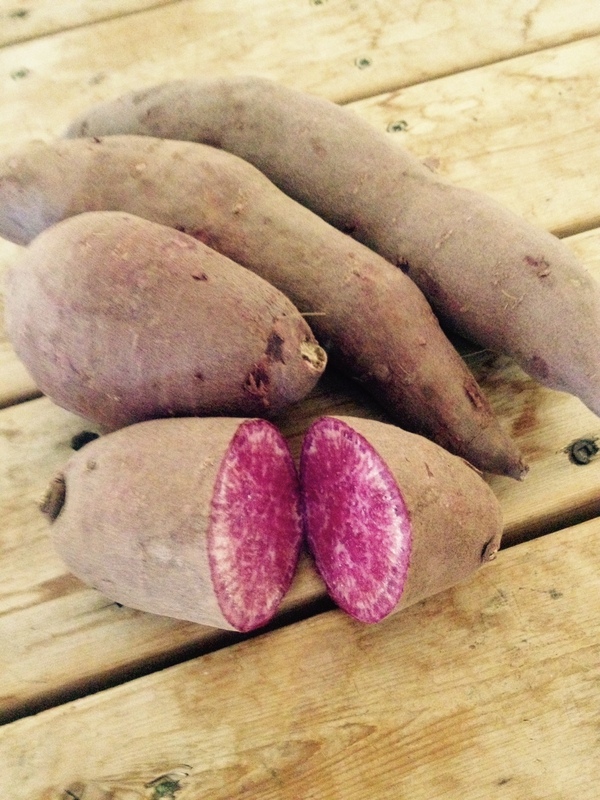 Try these delicious and colorful purple yams at your Easter table. This recipe for Thai style sweet potato and Yams is the perfect side dish! 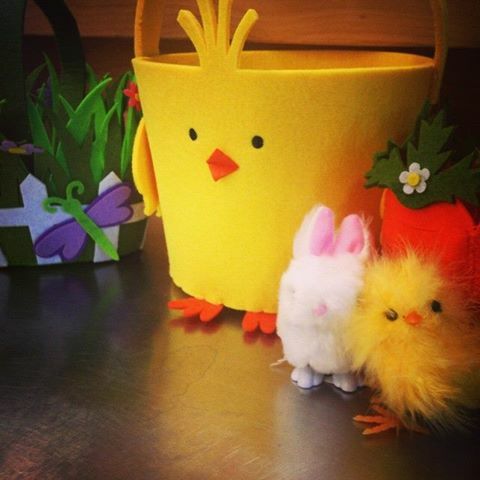 From baskets and candy to toys and games, you can custom-create gifts for all the Easter lovers in your house. Smiling sheep, Wild Woolies finger puppets and tons of other cute and delicious goodies can be found near the registers. Make a unique basket this year! That means the large chunks of ice that were previously snow drifts have been chipped away enough that we can let people in there. It was still too cold to transfer plants into that greenhouse this week, but Thursday's weather looks promising, so we hope to have primroses, ranunculus, and pansies in the greenhouse before this weekend! are found in the market! These long-lasting door mats are made from reclaimed lobster rope that was abandoned along the Maine coast. More than 100,000 pounds of rope has been re-used and turned into these fantastic door mats. ​They've done such a good job of cleaning up the waters, that they have run out of rope and they've stopped making the mats, so this may be the very last time we are able to offer them. 4/4 Easter Egg Hunt at noon!